When folks think of white water rafting in Maine, they typically think of sunny, warm summer days. Typically, that is the best time to go rafting in Maine if you are seeking hot days and warm whitewater. But, when you combine Northeast Whitewater's passion for whitewater rafting and Maine college outing club students, you get excitement and enthusiasm April style! Our first white water rafting trip of 2014 was this past weekend. 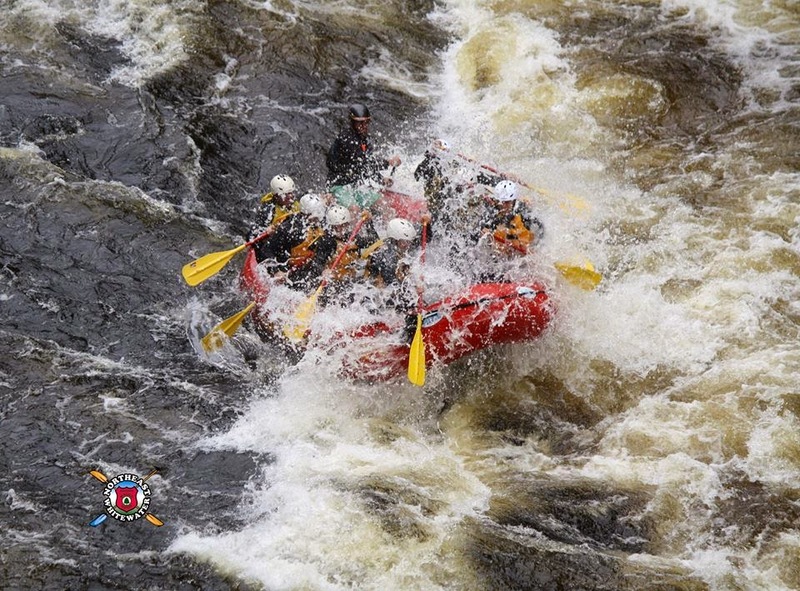 Northeast Whitewater and UNE Outdoor Recreation tackled whitewater rapids on the Mighty Kennebec river, both Saturday and Sunday, April 12 & 13, 2014. 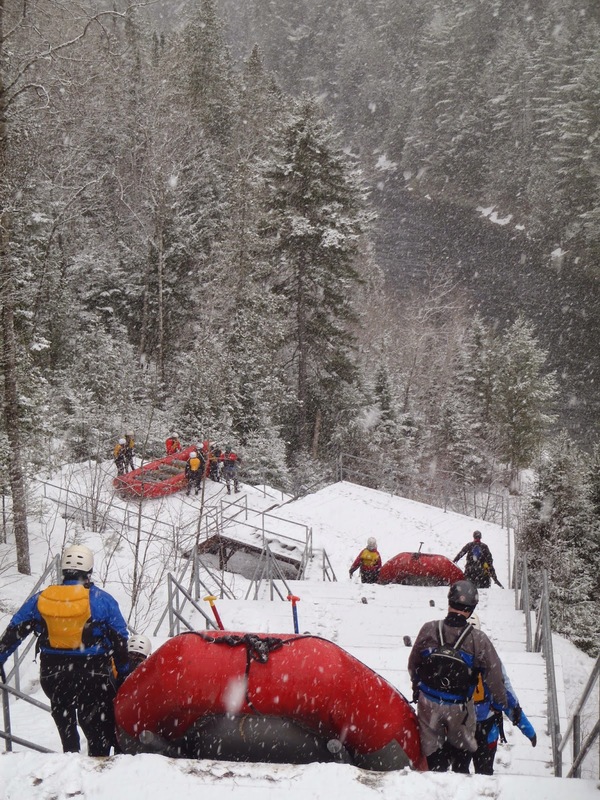 Not only, was this trip our first trip of the season, Northeast Whitewater was the first commercial white water rafting company in the State of Maine to raft in 2014. Now, many of you may say, that's nuts, but we think it was purely awesome! The Kennebec River is a 170-mile-long river that is entirely within the U.S. State of Maine. It rises in Moosehead Lake in west-central Maine. The East and West Outlets join at Indian Pond and the river then flows southward from Harris Station and Indian Pond Dam, the largest hydroelectric dam in the state owned by Brookfield Renewable Energy. It is joined at The Forks by the Dead River. Our trip began Saturday morning and we experienced a beautiful sunshiny day, with temps in the mid 50's. Since, Maine experienced a very snowy winter, we had snow on the river banks and at many of the river access points. 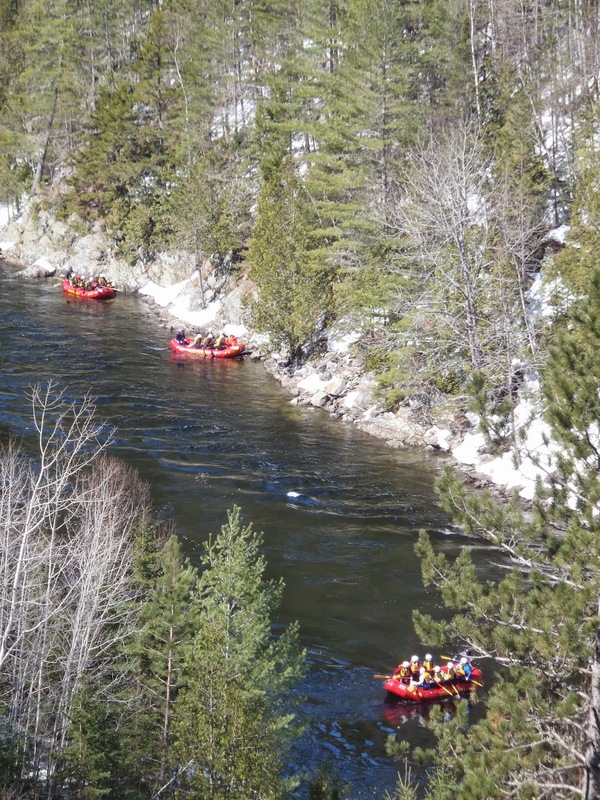 This made the adventure of white water rafting in Maine in April, even more of a thrill! Our second day on the Kennebec river, was a much colder day, much more similar to April rafting in Maine. Our company was able to offer the UNE Outdoor Recreation a private overnight rafting trip. What is unique about this kind of trip is that no other group mixes in and our company, since we are small, can uniquely offer this service to our guests that are bringing groups of 20 or more for an overnight raft trip adventure in Maine! We not only had an amazing time rafting on the Kennebec river, we enjoyed delicious home cooked meals and we even made our very own home made ice cream for brownie sundaes! If you have never rafted before, the Kennebec river is a great trip for everyone to enjoy. 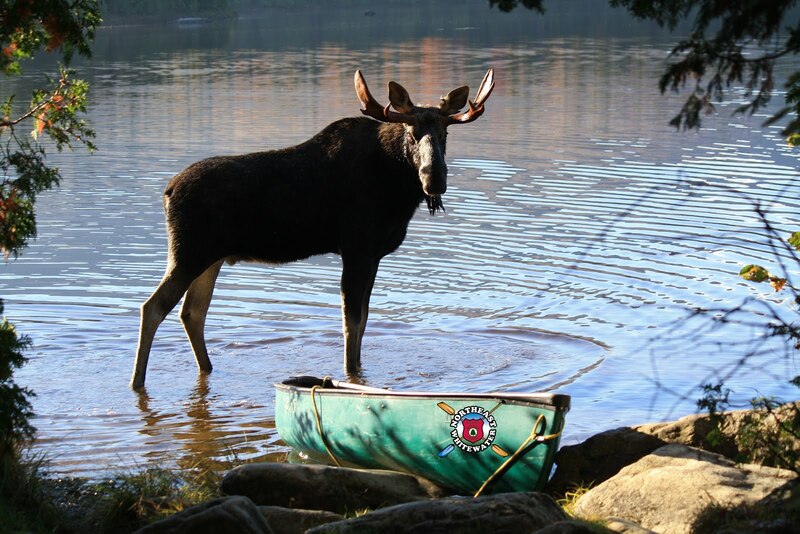 Minimum age to raft with us on the Kennebec river is 8 years old. If you are thinking about getting a group together for an overnight raft trip, we would be glad to have you join us! Northeast Whitewater runs rafting trips daily from Memorial Day weekend until Labor Day weekend. We will take special groups in the early spring and fall, based on your group size. 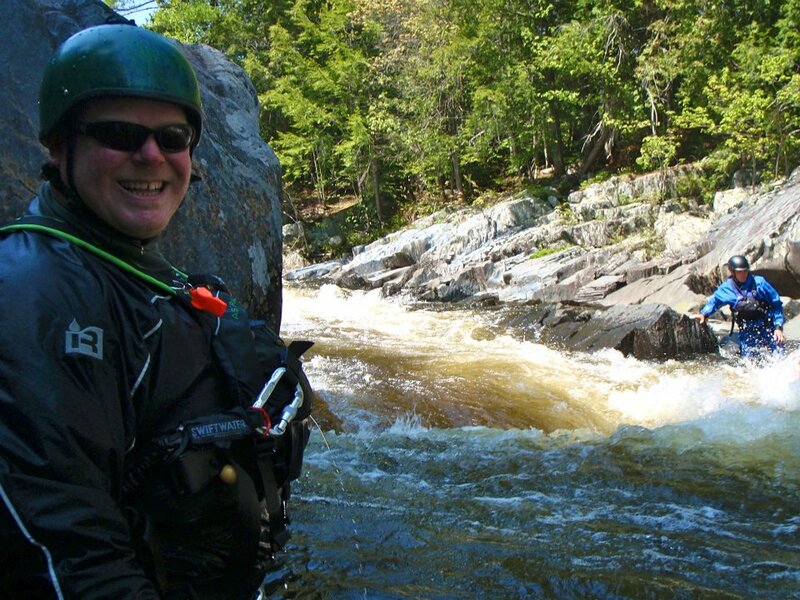 Give us a call and we can help plan your next white water rafting in Maine experience!